The expression of intolerance of other ethnic groups and religions can range from extreme violence (including genocide) to organised discrimination, to low-key or commonplace expressions of prejudice. In general New Zealanders’ intolerance has been shown to be more at the lower end of this spectrum. Colonial societies were often intolerant of indigenous people. 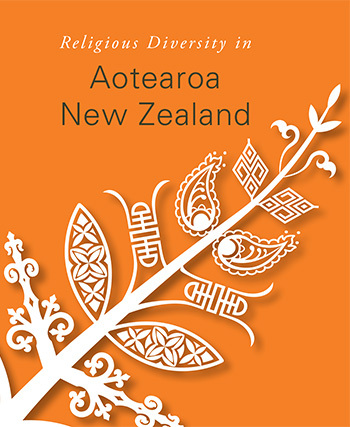 As Europeans settled in New Zealand in the 19th century, Māori experienced racism and discrimination. Most Pākehā saw their culture as superior and Māori culture as backward. War, disease and land loss had a hugely negative impact on Māori communities. From 1926 Māori received 25% less than the full rate for old-age and widows’ pensions. There was also discrimination by hotel owners and landlords, and sometimes at swimming pools and cinemas. Māori activism from the late 1960s led to better treatment from the government. Treaty of Waitangi settlements compensated iwi for some losses, and there was a resurgence of Māori culture and identity. During the world wars German immigrants were considered to be ‘enemy aliens’. They were imprisoned on Matiu (Somes Island) and Motuihe Island during both wars, along with some Italians and Japanese in the Second World War. Dalmatians, who worked digging kauri gum, were sometimes seen as illiterate and dirty. They were excluded from certain areas of the gumfields and required to register as enemy aliens during the First World War. Chinese came to New Zealand as gold miners from the 1860s. They were thought to be racially inferior and immoral, and groups campaigned against them. Chinese immigrants had to pay a poll tax of £10, later increased to £100. They were also not allowed to receive pensions. Indians also experienced racism. In 1926 the White New Zealand League was set up to restrict Asian immigration and rights. Immigration policies changed in 1986 and 1987 to select immigrants on the basis of skills, not country of origin. Many more Asians came to New Zealand. Some groups formed to oppose Asian immigration, and the New Zealand Party campaigned against high levels of immigration and ‘non-traditional’ immigrants. Pacific people came to New Zealand from the late 1950s to work in factories. But as unemployment grew in the 1970s, there was a backlash against Pacific migrants, who were seen as taking jobs from New Zealanders. The government began deporting people who had overstayed their work permits, and raided the homes of alleged overstayers – usually at dawn, to catch them before they woke. In 1982 the Privy Council ruled that a Samoan who was being prosecuted as an overstayer was actually a New Zealand citizen. This meant that most of Samoa’s population were New Zealand citizens – but the government passed a law against this. New Zealand has had few examples of anti-Semitism (prejudice against Jews). One political tradition, Social Credit, was hostile to Jews, but it became more liberal by the 1970s. In 2004 Jewish gravestones were attacked in Wellington cemeteries. From the 1960s some organisations promoted the idea that white people were superior and should remain ‘pure’ (separate from non-whites). Gangs of skinheads modelled themselves on British working-class groups, and some carried out violent racist and anti-gay attacks. There was some hostility between Catholics and Protestants, mostly in the 19th century and early 20th century. In the early 21st century there was little religious tension, although some Muslim communities were harassed after the September 11 2001 attacks in the United States. The 2019 Christchurch mosque shootings, in which 50 people were killed, were a shocking break with the long-term trend towards greater tolerance.